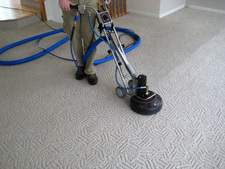 Top reasons why Occoquan, Va residents trust Mighty Clean Carpet Care for their carpet cleaning needs. Occoquan is a town in Prince William County in the Commonwealth of Virginia. The population was 759 at the 2000 census. The town is a suburb of Washington, D.C. and is adjacent to Woodbridge. The current Mayor is Earnest “Earnie” Porta, who was first elected in 2006, and won re-election in 2008. Occoquan is derived from a Dogue Indian word meaning “at the end of the water”. Located on the Occoquan River, Occoquan was a natural site for water-borne commerce. By 1765, it flourished as an industrial settlement with grist mills and tobacco warehouses. The Merchant’s Mill was the first automated grist mill in the nation. It operated for 175 years until destroyed by fire. During the Civil War, the post office passed letters and packages between North and South. 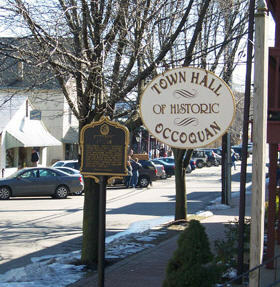 Although fire and river silting have caused hardships for Occoquan, the town has survived and thrived. 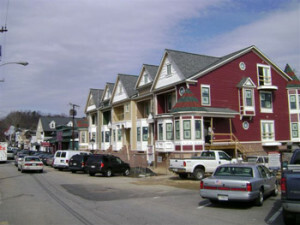 Today, it is a restored artist’s community town with shops, outdoor dining, ghost walks, a town boat dock and more. A number of structures in town, including many in the downtown commercial area, are part of the Occoquan Historic District on the National Register of Historic Places; the former house of the town founder, Rockledge, is also listed on the Register. As of the census of 2000, there were 759 people, 418 households, and 186 families residing in the town. The population density was 4,868.7 people per square mile (1,831.6/km²). There were 443 housing units at an average density of 2,841.7/sq mi (1,069.0/km²). The racial makeup of the town was 85.51% White, 8.17% Black, 0.53% Native American, 1.58% Asian, 0.13% Pacific Islander, 1.58% from other races, and 2.50% from two or more races. Hispanic or Latino of any race were 6.46% of the population. There were 418 households out of which 11.5% had children under the age of 18 living with them, 35.6% were married couples living together, 6.2% had a female householder with no husband present, and 55.3% were non-families. 45.9% of all households were made up of individuals and 8.1% had someone living alone who was 65 years of age or older. The average household size was 1.82 and the average family size was 2.54. In the town the population was spread out with 11.1% under the age of 18, 8.0% from 18 to 24, 36.2% from 25 to 44, 33.6% from 45 to 64, and 11.1% who were 65 years of age or older. The median age was 42 years. For every 100 females there were 88.8 males. For every 100 females age 18 and over, there were 92.3 males. The median income for a household in the town was $48,750, and the median income for a family was $77,420. Males had a median income of $50,938 versus $30,833 for females. The per capita income for the town was $33,007. None of the families and 5.7% of the population were living below the poverty line, including no under eighteens and 14.9% of those over 64.